If you’re going to have a cohesive multimedia superhero universe, it’s got to become about legacy. There just aren’t enough weekends in the movie release calendar to schedule movies about it. As many people speculated from the trailer for Avengers: Endgame, Hawkeye (Jeremy Renner) looks like he will be evolving, either as Ronin, or by passing on the mantle of Hawkeye to a protege, Kate Bishop. Variety reports this morning that Marvel Studios has begun developing a limited series for the streaming service Disney+, starring Renner and giving him 6 to 8 episodes to really show what he can do. Allegedly, the officially unannounced Kate Bishop will be there, too. In the comics, Kate became the second Hawkeye, and joined the Young Avengers, which seems like a logical next step for the Marvel Cinematic Streaming Universe. Remember again that Disney+ will be the outlet for Marvel Studios, at this point separate from Marvel Television, which produces shows for ABC, Freeform, and Hulu. That means that the mini-series on Disney+ have direct ties to the movies. In addition to Hawkeye, Marvel Studios has announced The Vision and the Scarlet Witch, Loki, and Winter Soldier and the Falcon. The latter likely spins directly out of Avengers: Endgame as the two friends of Captain America grapple with his legacy. At different times in Marvel Comics, both Bucky Barnes and Sam Wilson have become Captain America. 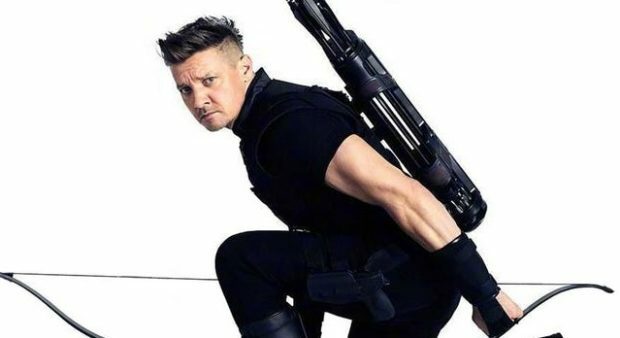 Giving Renner a television series will afford the most focus on Hawkeye; though key to the Avengers franchise, he has appeared in only four films — Marvel’s Avengers, Avengers: Age of Ultron, and the upcoming Avengers: Endgame, after being introduced/shoehorned in a cameo in Thor.